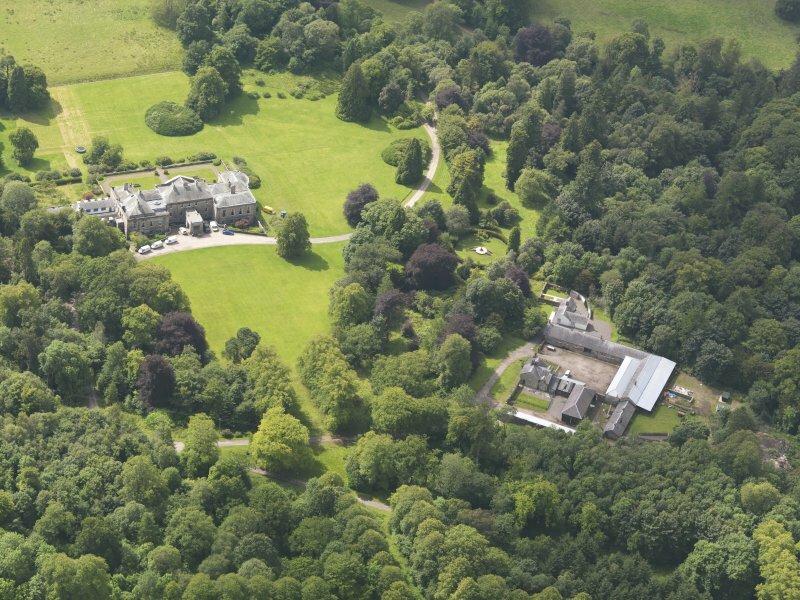 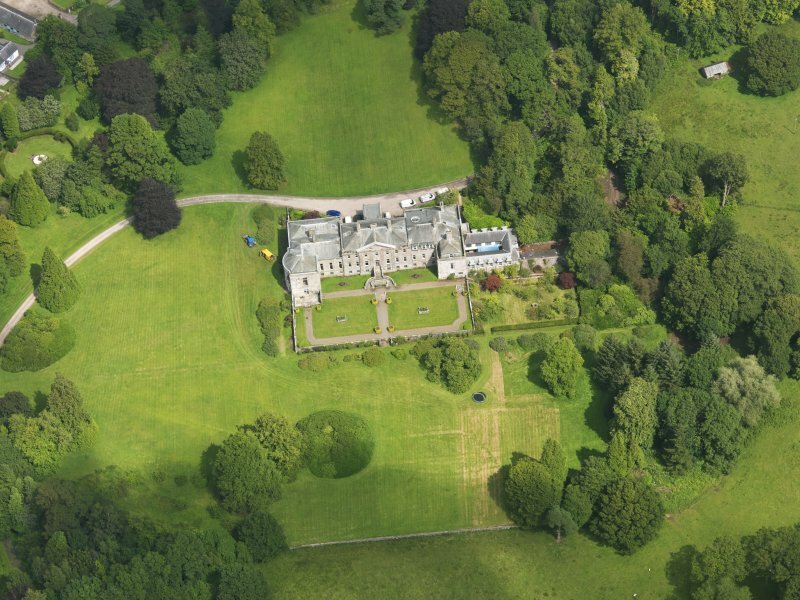 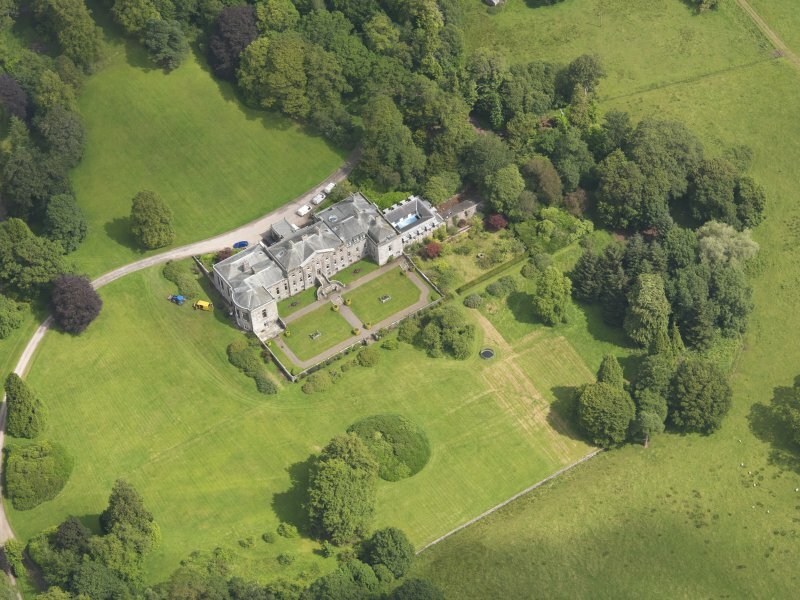 Oblique aerial view of Springkell House, taken from the NW. 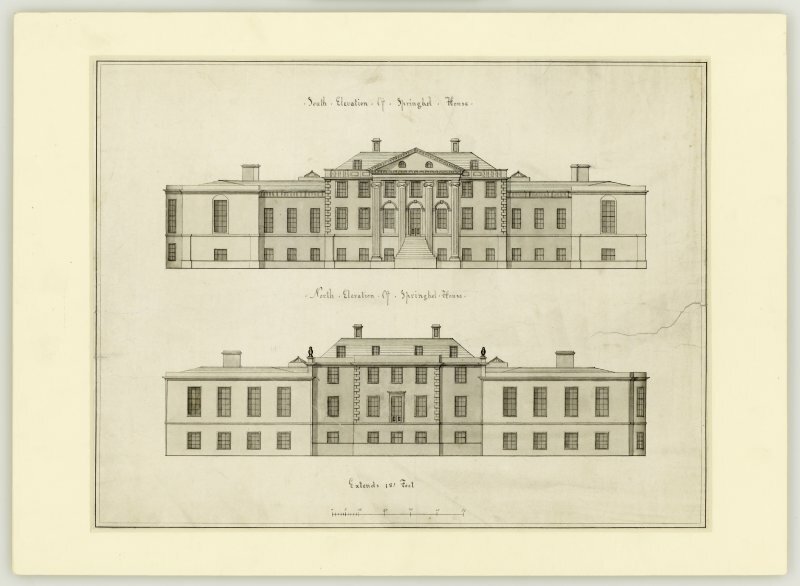 Drawing showing design for north and south elevations with addition of wings. 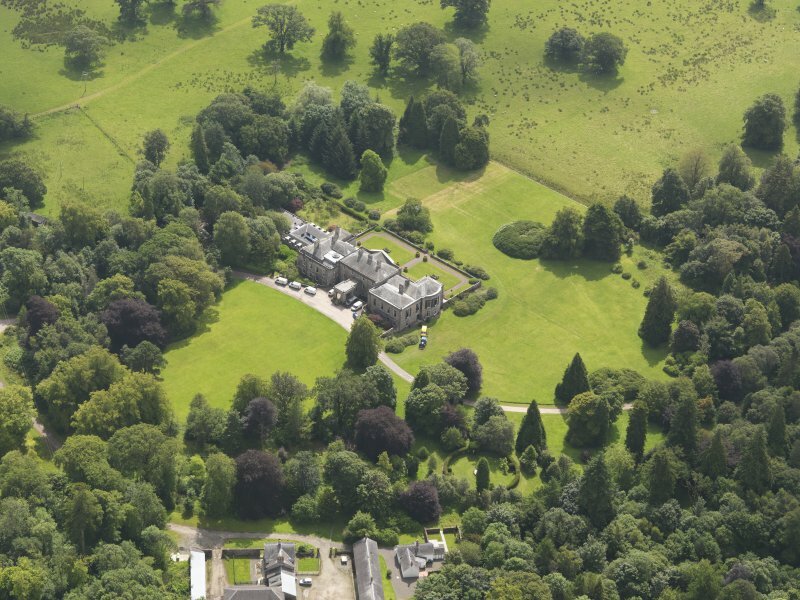 Oblique aerial view of Springkell House and stables, taken from the NNW. 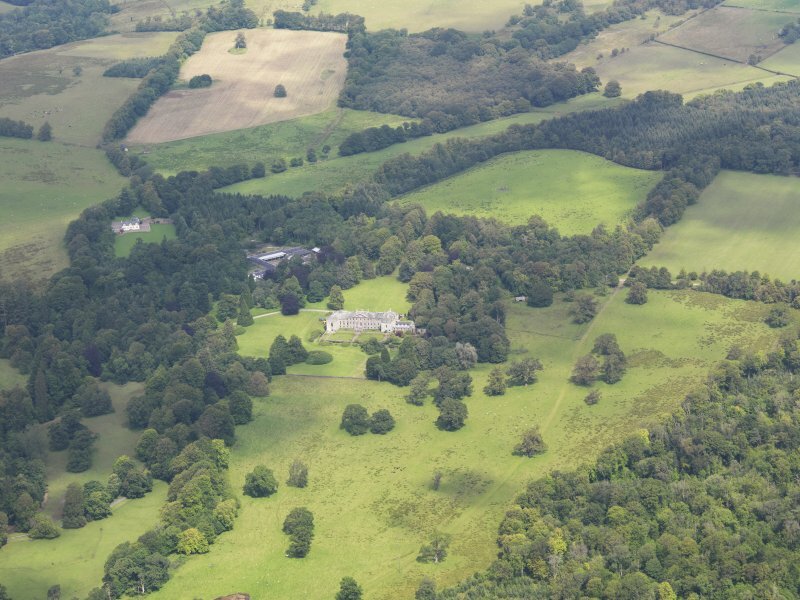 Oblique aerial view of Springkell House and stables, taken from the ESE. 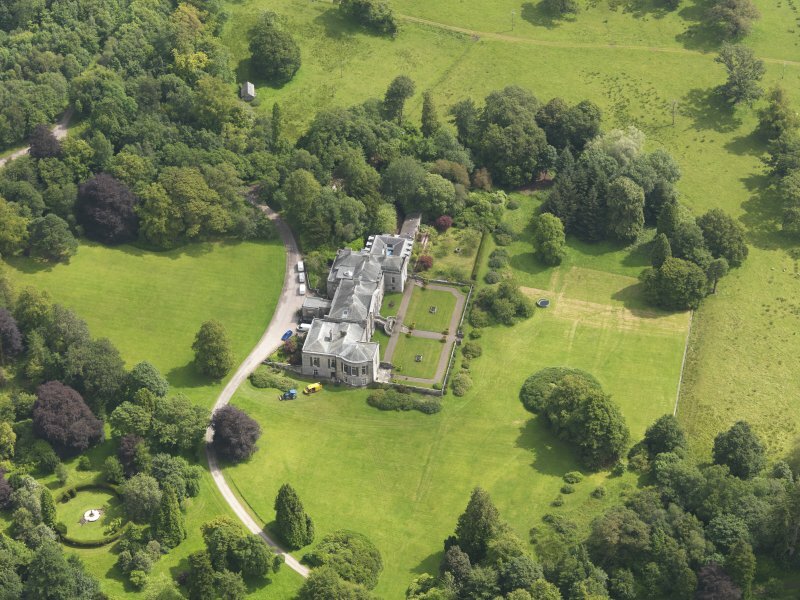 Oblique aerial view of Springkell House, taken from the SW.
Oblique aerial view of Springkell House, taken from the W.
Oblique aerial view of Springkell House and stables, taken from the NE. 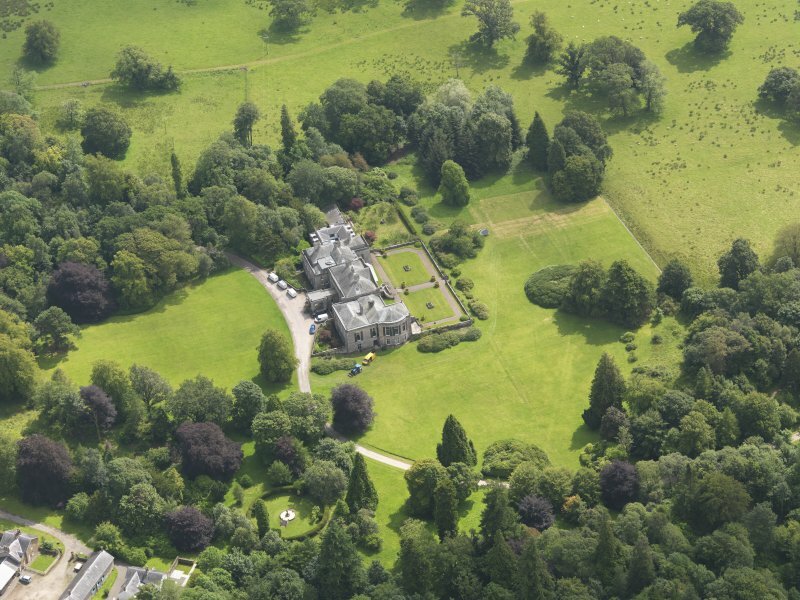 Oblique aerial view of Springkell House, taken from the SSW. 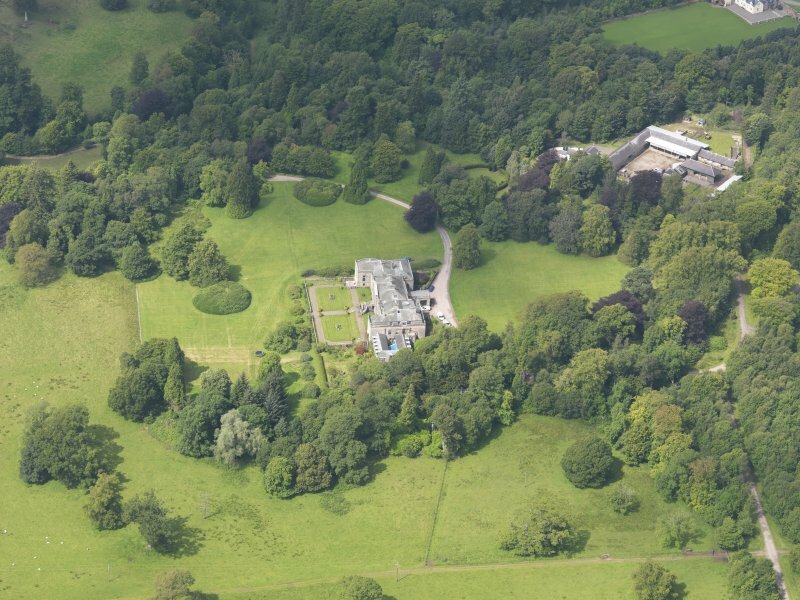 General oblique aerial view of Springkell House and policies, taken from the S.
Oblique aerial view of Springkell House walled gardens, taken from the NW. 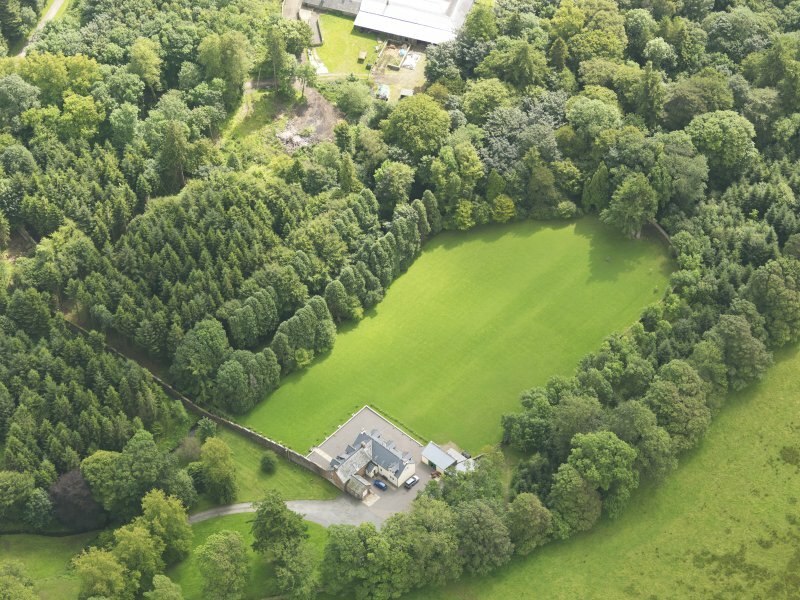 For probably-associated mausoleum at Kirkconnel, Old Parish Church (NY 2501 7535), see NY27NE 1.00.